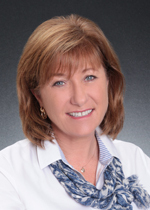 Fran Dann-Akin has 33 years of experience providing professional real estate services. She is a licensed real estate broker and CCIM Candidate with over 400 successfully completed transactions. She started her career in 1983 by partnering in the development of a residential community in Leesburg, FL. During her years focusing on residential, she worked for three different developers, including The Villages for many years. Fran then moved into the commercial market and has proved to be a top producer being recognized within the top 8 national commercial brokers for E.R.A. for three years consecutively as well as a multi-million dollar producer every year. Fran has enjoyed representing clients in land acquisitions/development, medical, retail, multi-family/single family and investment properties. In the last several years, Fran has had involvement in the majority of the new office development adjoining The Villages as exclusive listing agent for a number of area office buildings and has represented numerous medical practices in the leasing and purchasing of medical and other commercial space. Exclusive owner representation for marketing of professional office and medical buildings. Exclusive tenant buyer representative of corporate office leasing or building acquisitions. Financial analysis of lease, sale and development properties for investments. Specializing in the Marion, North Lake and Sumter County areas, Fran has developed a reputation for outstanding service and dependability. Fran's professionalism coupled with many long term relationships in the area sets her apart and proves to be an asset to her clients, of all dimensions.